The Auto Transport Association was established to help the auto transport industry by providing operation guide-lines for all car shipping companies, auto transport companies, vehicle moving companies and vehicle re-locators in Canada. We want to provide a safe platform where a regulatory body checks for strict adherence to all provincial and federal laws in Canada. The Auto Transport Association was founded in 2008. It was created by a group of concerned citizens with the need to have accurate and reliable auto transport service information in Canada. It all began with people related to the automotive industry, as well as car shipping companies and customers who came with the idea of creating a web site and portal where people like you can have all the information they need about shipping a vehicle to any province in Canada. We have also created a section where customers are able to see other customer reviews about car shipping companies. You can enter your own personal experiences with car transport companies. Leave us your review, share your experiences with us and everybody else! 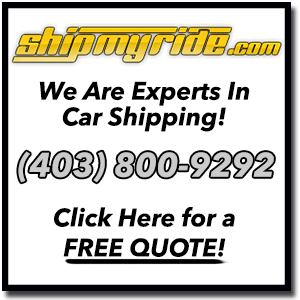 It is very important to always rely on a trusted car shipping company for any situations that may occur. We will be more than happy to guide you through this process. Feel free to Contact us with any questions or suggestions.